VIDEO FILMED AT O2 ACADEMY BRIXTON LAST DECEMBER DURING BAND'S FIRST UK TOUR IN SEVEN YEARS! 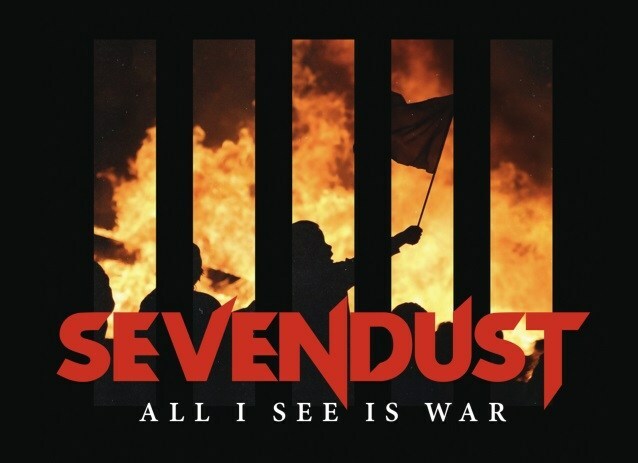 US metal veterans SEVENDUST have unveiled a new video for the next single from their twelfth studio album, All I See Is War. “Risen” is a live performance montage clip, filmed during the band’s recent show in London at the O2 Academy Brixton, during the band’s first UK tour in seven years. Dan Sturge, known for his work with Alter Bridge, directed the clip.